At ARMEDIA , we know the importance of providing a personalised and tailored service. Our senior designers and journalists work with a flexible team of specialists in photography, design, illustration, writing, multimedia and web design. Eddy Jokovich has over 20 years of experience working in media-based production work, including print management and production, brand development, organisational strategy, marketing, art direction for film, video, print and web. He has produced many books, magazines, handbooks and has worked as a war correspondent, journalist, lecturer in media studies and production. He is also the Managing Editor of Rattler magazine. ABC Radio National, Life Matters: From The Journal. Rebecca Gorman and Eddy Jokovich discussing the effects of corporatisation of children’s services in Australia. 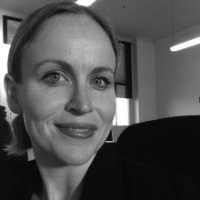 Deborah Kelly has over 20 years’ experience in the concept and design of communications projects. She specialises in creative print media for unions, women’s, environment and multicultural groups and projects – with an emphasis on newspapers, magazines and posters. She was a creative director at Social Change Media in its Melbourne and Sydney offices for eight years. Deborah won an ABSP Bell Award and three High Commendations for Publishing Excellence in 2005 and 2006. Madeleine has over 15 years experience working in a wide range of design studios and has specialist expertise in publications design. Madeleine is also a practicing artist, and recently produced Darlinghurst Eats Its Young, a photographic exhibition of Darlinghurst in the 1980s. Camille is a specialist journalist at ARMEDIA and writer for Rattler magazine. She has worked on a wide range of business-to-business publications, and also has an Associate Diploma in Social Services/Child Studies and several years experience working in a variety of childcare settings. Pandora is website designer and developer at ARMEDIA, specialising in designing and installing WordPress content management systems and databases. She has over ten years of publishing experience, and previously worked at SBS-Television, Amnesty International and Pacific Publications. During her time at ARMEDIA, Pandora has produced websites for many organisations, including Community Child Care Co-operative, NSW Family Day Care Association, Cowra Regional Art Gallery, and ChildrenFirst.